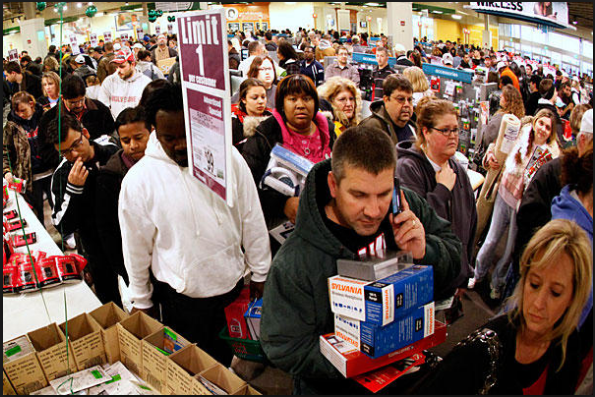 11 Black Friday Shopping Tips! You are here: Home / Great Deals / Black Friday Deals / 11 Black Friday Shopping Tips! Here are 11 Black Friday Shopping Tips you might want to think about when you’re planning your Black Friday Shopping! Plan your trips and stores you want to hit for the best Black Friday Deals. See which stores open at what time and what deals are available at what time. I noticed some stores have certain things available for a certain price on Friday but not on Saturday and vice versa. Some are even opening on Thursday! So, be prepared. 2. Don’t forget your coupons! Make sure to check out our coupon database and also look for coupons on the store site and the manufacturer’s site. 3. Take your sale flyers with you! Be sure to print and carry the coupon policies with you when you shop with coupons (this is for all year round, too). You can refer back to them while you shop and even help an overwhelmed cashier! If you get in a disagreement with a cashier about something in the sales flyer, it will be nice to have it handy! 4. Ask for gift receipts! You can wrap them right up in the present and not worry about finding it later if the recipient needs to return your gift for any reason! 5. Make sure you have a list! There will be nothing more annoying than forgetting to get that one great purchase! Also, make sure you have a back-up plan if the items is sold out, and check to see if the ad tells you how many of the item you are looking for will be in stock. 6. Go with a friend! 7. Make sure to check the weather report! Dress accordingly and comfortably. You definitely want to make sure that you aren’t uncomfortable on Black Friday! Make sure things are ringing up correctly so you don’t have to visit customer service – ever! Check the bag and the receipt BEFORE you leave the store! At 3 am I am not my best with math – well… I don’t actually have a time where I am best at math! So, anyway take a calculator! 10. Look for price matching BEFORE you go! You could make all your purchases in one stop! Many stores are now price matching! 11. You can always sleep in! Do you have any great tips? Share them with us!